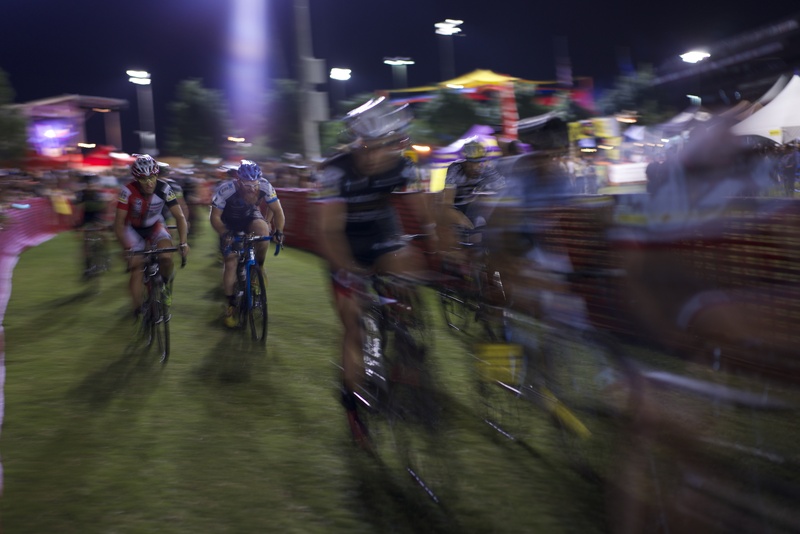 While the industry has been a bit abuzz about the beer throwing at this year’s Cross Vegas race during the Interbike trade show, we’ve been reflecting on the awesome aspects of that race, and on cross racing in general. As a chill slips into the air across much of the United States, the cross lover starts to think of the joy of continual anaerobic punishment. 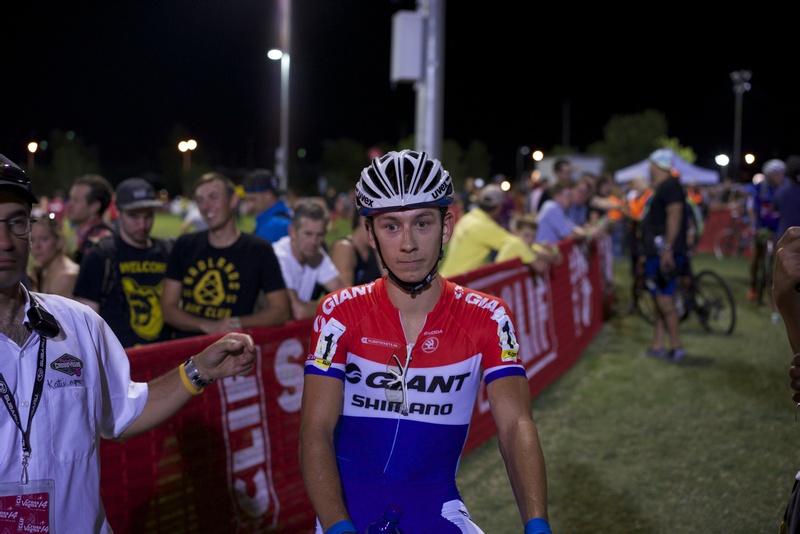 Byron raced in the media class at Cross Vegas and then stuck around to capture some images. We’ve been shooting recently with the Sony Alpha series of full frame cameras, astounded by their capabilities and their small size. While our normal rigs at Cross Vegas would have included ten pounds or more of pro bodies and lenses, now we’re using teeny mirrorless cameras to capture photos. Some funny things happen when you switch from big SLR cameras to smaller systems—people stop noticing you. In the press pits this has the annoying effect of being looked down up—there is so much “my lens is bigger than your lens” in the press corps it’s ridiculous. I have seen photographers with only one $6000 pro body being treated poorly by photographers with two $6000 bodies. Having a mirrorless camera makes you look like a noob, even when it’s a camera with a 36mp sensor and a $1500 55mm f/1.8 zeiss lens on the front. My father, who was a professional photographer, taught me a very important lesson early on—look for where all the photographers are and then go somewhere else. I can’t tell you how many shots I’ve seen from races that look the same because all of the pros are huddled together at the end of the course, waiting to get the almightily “hands raised” shot. Meanwhile there’s great stuff to be had down the course. The other nice thing about shooting with a small camera is that people tend not to notice you’re there. As a result you can stand right next to someone and take a portrait without sticking a long camera lens in their face. 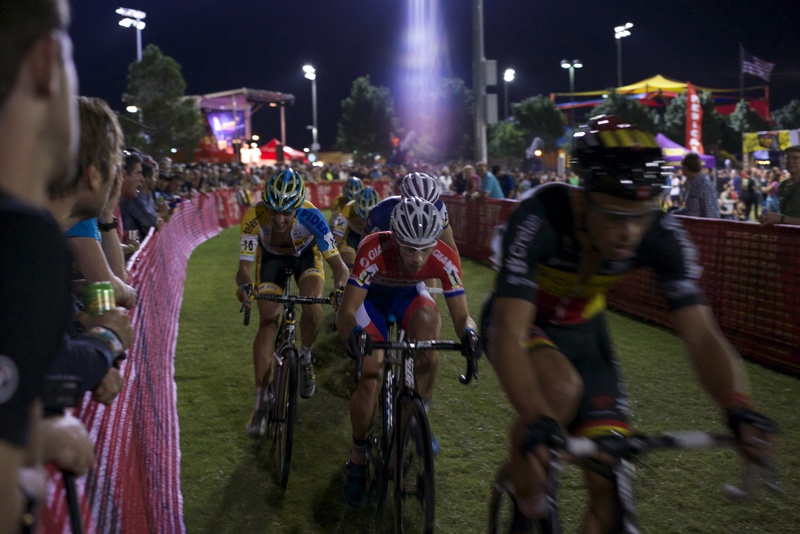 Cross Vegas is a pretty spectacular race and a great time for fans. Despite the shenanigans that happened this year, the event has grown into a major sporting event, as cross itself has blossomed. It’s one of the shining spots in American racing, even if it has a few blemishes. 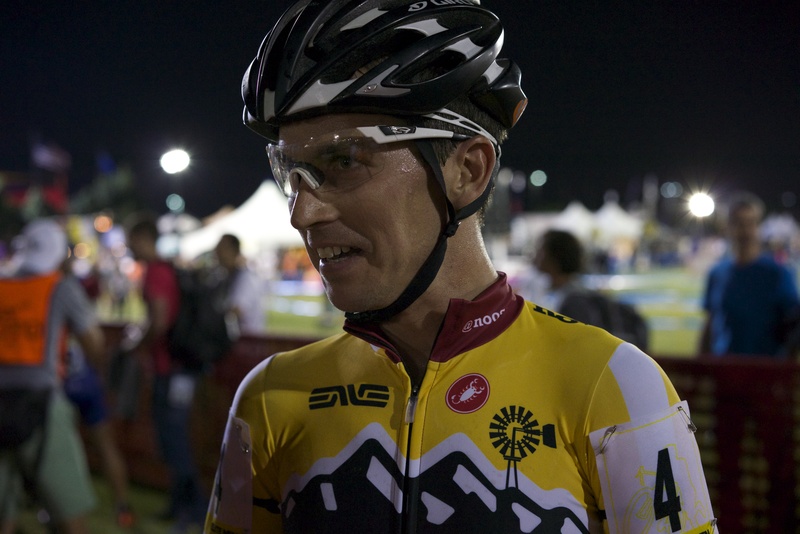 View the rest of the photos from our Cross Vegas shoot on G+.